Life eh? Yours , mine, theirs. Our respective lives are made up of chapters, each one effecting directly or indirectly the future chapters yet to be written. We can feel like life is a collection of short stories but as each story influences our personalities (moods, knowledge, behaviour, experiences) we take ‘information’ from all our stories and use that knowledge in the stories or chapters that follow. In theory we all have a book in us. Whether we believe our book to be interesting enough to write or our voices articulate enough to tell it is another thing. Also, I find that the ‘chapters’ get muddled and its often hard to reminisce or tell each in isolation. Anyway, as its New Year I thought I might share one of my very happy chapters with you. It is not a chapter in isolation. It’s the one about how I met John but it culminates with a 10 years on, rapidly approaching 20. It’s a happy, intimate story and I share it with you all because its joyous and lovely and ‘real’ and quite romantic 😉 and we all deserve a bit of light and romance to remind us of the good and the joy and the hope especially when our lives are writing chapters that are more challenging. 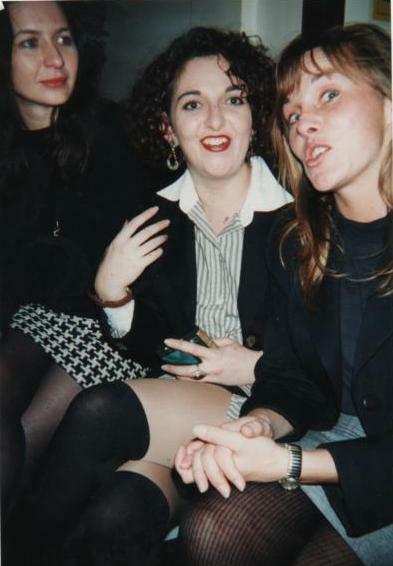 1994, I can’t remember what month. I’d been traveling around it Israel mainly and had come back to the UK to earn some money to go off again (probably to South Africa. I was 26. A friend, Anne, whom I’d made in Israel and who remains a very good friend, returned to the UK before me and told me to get in touch. A friend of hers had a recruitment agency and she’d be able to get me temp work with her in The City. Barings in fact. and yes – I was there when the Nick Leeson saga hit the fan but that really is a different chapter. I was contracted to do some accounting/adminny type work, I forget the details . John was in another department in the same building by Liverpool St Station on the same floor doing something relating to merchant banking. I was chatty, confident, outgoing, I’d just spent 2 years traveling. I embraced the tail end of the city boom and the freedom of being single and working in the city: lunch time drinking, after work parties etc. I think I’d seen John a couple of times around the office. He had kind, smiling eyes and on his desk was a photo of his sons. I think I’d commented on how lovely they looked. Then in mid October we were in a lift together heading to a leaving do for a chap called Nick Lebrun. I joked with him asking if his wife had given him permission to stay out late and come to the party. At which point another work friend and great character (Boris Johnson reminds me of him) , Nick Perry-Evans kicked my shin. Apparently John was separated. “I’m off to Africa in 3 months if you fancy a no strings affair until then take me to lunch on tomorrow”. And that’s how it began. A mid-week party and a massive mid-week hangover. I was sat at my desk opposite my friend Amanda who would spot John before me as he approached on a ‘purposeful’ loop around the quadrangle, paperwork in hand. He’d slow on approach and then continue straight past!! This happened several times. Poor man. Eventually he plucked up the courage to ask me to lunch. Hoorah! I felt so sick that day. Not enough sleep, far too much drink. I’d try to ‘dress to impress’ and ended up in a Khaki skirt and jacket that were too short and too tight! The last thing I waned to do was eat or drink!. We went to the Bowling Green restaurant in Finsbury Square. Talk about pleasure-pain. We chose the worst thing to eat on a hangover, pork in a cream and cider sauce with a bottle of red wine!!! I spent the entire meal willing myself to swallow and not vomit! There it was. From then on we went to lunch everyday, with our favourite place being upstairs in the Dirty Dicks before it became like all the other trendy wine bar type restaurants. We had the same waitress each time, Ella from Poland and my favourite was mash with smoked haddock and poached egg. We’d take 2 hour lunches and come back slightly tiddly having shared a bottle of wine (people in the city did that then). The following weekend I went to stay with him at his flat in Westcliff and we went out dancing. That was 21st October. We didn’t tell anyone at work we were dating although I’m sure everyone knew. On 14th Feb two dozen red roses appeared on my desk. The secret was out! I was already living with him I think!! I pretty much moved in straight away. We had no expectations as I had promised no strings – so we didn’t pretend to be things we weren’t, didn’t delay calling or going out for fear of appearing ‘too keen’ . I think because of this we really got to know each other, we had a whirlwind of fun in that 3 months. The time came for me to leave. John hadn’t asked me to stay as that wasn’t the deal. Nervously one evening I asked him how he would feel if I stayed and I told him I loved him. 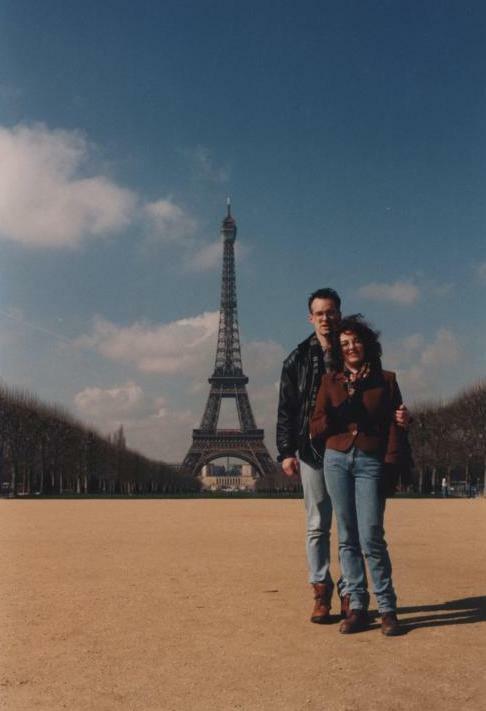 John and I in Paris – April 1995 after I’d decided not to leave! OK – you can puke now – I know its corny. It’s also real. That was eighteen and a half years ago. On our tenth anniversary John surprised me with a CD. An original song written in conjunction with his friend Ian Harvey and recorded in Ian’s studio in Diss (Pan Music), with John singing. 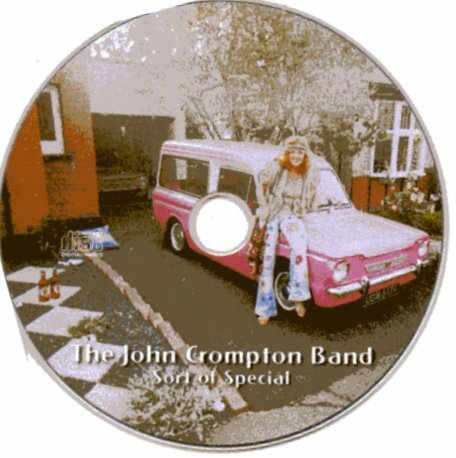 “Something Special’ by The John Crompton Band!!! Our story so far. Get your flight bag at the ready in case you vomit (again!) and take a listen if you feel you can handle the slush! Love can be real. It can survive good times and bad, ill-health, financial struggle, births, deaths, extended family and mental health! However I truly believe ours has only survived because it happened after our other chapters, the ones with breakups, heartache and grief. Without those past chapters we may well have given up on our relationship in the subsequent and inevitable ‘difficult chapters’ but, and for this I am so grateful, John especially, hung in there, realising the special relationship we have. Between us we have lived those chapters of angst, pain and sorrow. They have been very few but when they’ve arrived they’ve been very intense and all-consuming. As a couple these days we are strong, happy, understanding of each other, respect each others strengths and weaknesses. Enjoy life. We do that ‘dance’ that couples who have been together a while do. We know automatically which roles each of us has responsibility for, we communicate often without speaking. And more importantly, we still laugh, love and share together. we sit together on the sofa and hold hands every evening whilst drinking tea and watching TV. We hold hands when we walk together, we kiss each other goodnight and we open our souls to each other. Life would not be life without him and any chapters without him would not be worth writing. I give you a true love story, one of the most happy chapters of my ‘real’ life, to take you into 2014. I was going to stop there and then last night it occurred to me to refer back to the beginning of this blog – where does each chapter start and finish? I believe that most of us have had ‘true love’ chapters or ‘dizzy romance’ chapters we just have to remember to end the ‘chapter’ before it flows into a ‘breakup’ one. If I look back I’ve had a good 3 ‘dizzy romances’ in my life but they were followed with respectively ‘heartbreak’ , ‘ anger and disappointment ‘ , ‘feeling like a twit’ chapters. I think we would all be happier if we retold these chapters in our life stopping before the end of the relationship but instead at the end of the love/lust/romance phase. Take a marriage that has ended in divorce, surely the first chapter was heady romance/love/lust maybe followed by a couple of chapters of contentment, one of marriage and first home, one of first child, some happy holiday chapters before the final sad one. And then if we continue to extrapolate the final one may not actually be ‘the final one’ until the end of our lives these past chapters will continue to affect our future ones as we learn from the good and bad of the past and take these lessons into our futures. I can honestly say that I look back on my past ‘true love chapters’ as un-rounded as they may have been in hindsight, and remember fondly and gratefully the words that make them and the images that accompany them. They are part of who I am today, of the person who values the love and luck I now have. Everyone’s life is a book – be it a private diary to remain un-shared , or a celebration of life to be screamed from the rooftops, a witty repertoire or a lament of unfulfilled longing. But remember our book is only part written who knows what adventures and paths we might travel before the end. 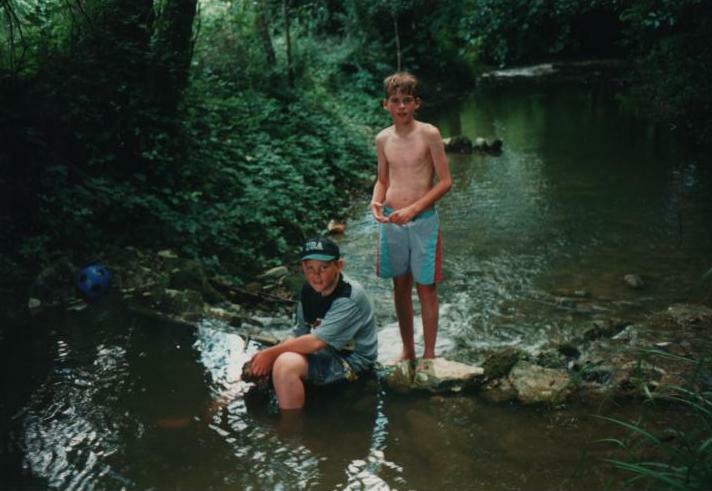 Johns sons David and Graham aged 11 and 13 august 1995 – our first ‘family holiday’ – not all plain sailing but there’s another chapter in itself! Previous ArticleAddendum – A year in the life…. Next ArticleAm I mad or is it PMT?!.. because we’re all worth it…. Getting Fit by dancing – with my new GetFit …. review/activity/lifestyle change!! Spring may not have sprung yet – but its definitely in the air..
You also have to bear in mind that real life is messy and the stories you read and watch have been crafted to have neat beginnings, middles and ends. It’s a bit odd when you go back to real life and find that it’s all overlapping and your not sure when each chapter stops or starts. exactly Graham! Thanks for reading it . So my paths to turn down..
© Copyright 2019 Rose Tinted Ramblings. All Rights Reserved. Blossom Fashion by Blossom Themes. Powered by WordPress .